View the meetings summary report. View the meeting comment form. 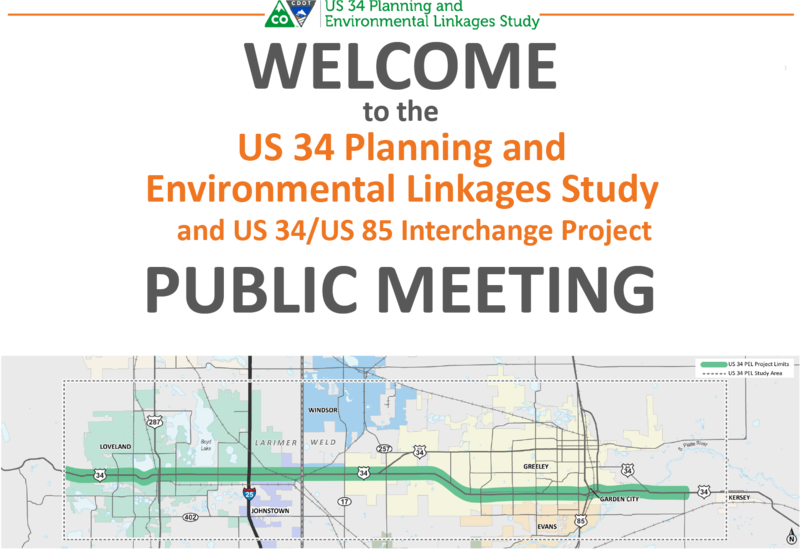 On Nov. 8 and Nov. 15, 2017, the project team hosted public meetings in Greeley and Loveland, respectively. We'll be posting all the materials presented here; check back for updates! View the meeting summary report. CDOT held two successful public meetings in May—the first on May 2 in Loveland, and the second on May 3 in Evans. 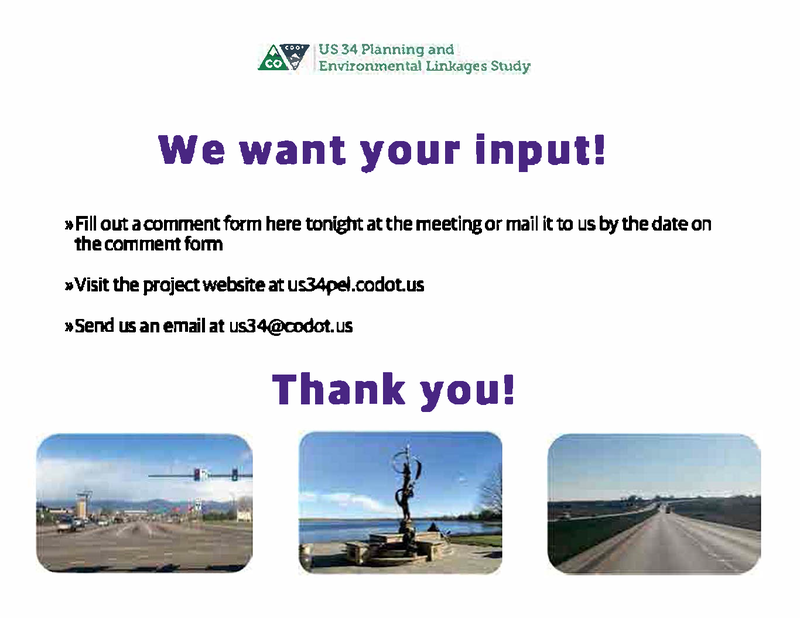 Thanks to the public for its participation and input.